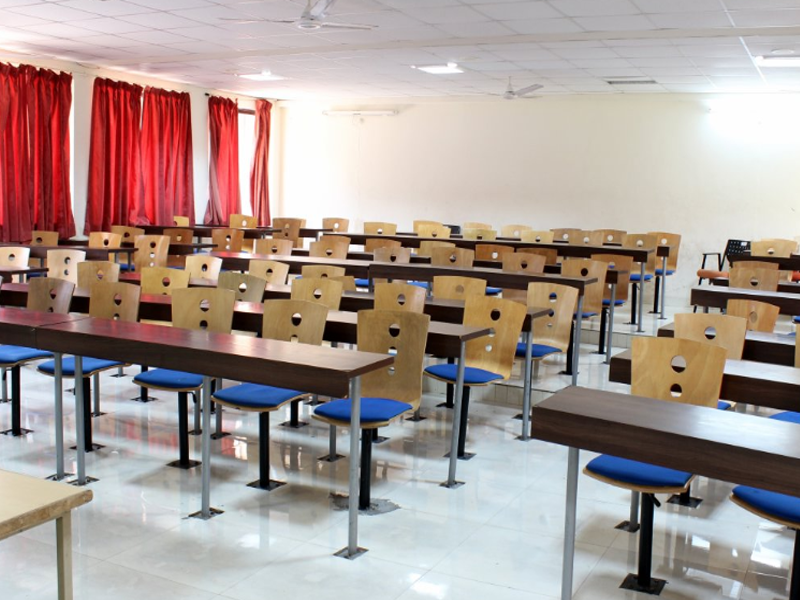 The classrooms are designed to be compact so as to stimulate and encourage close interaction between students and faculty. 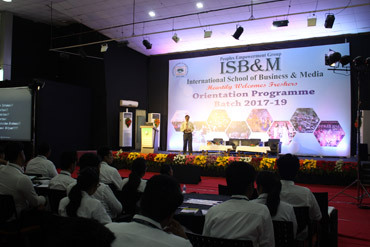 The Classrooms are equipped with remote- controlled LCD multimedia projectors, internet networked computers and public address systems. The 24x7 Computer centre is well- equipped with Wi-Fi allowing mobile accessibility. The centre is a popular spot to work on projects outside of class. 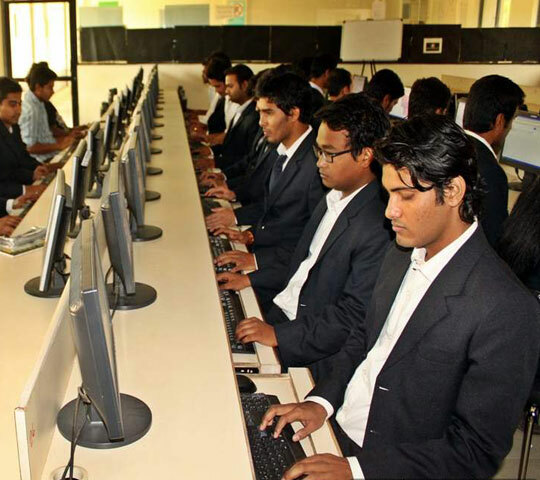 The centre is equipped with current-model, high-end PC computers, high-speed network and storage, an extensive collection of software - including statistical, financial, accounting, programming, and simulations software - printers, scanners and other equipment to meet student needs. 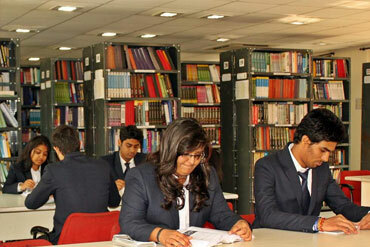 The institute has modern library with books, reports, international and national journals,periodicals etc. It also has a digital library which is a collection of documents in organized electronic form, available on the internet or on CD-ROMs. Digital libraries provide an effective means to distribute learning resources to students. Students may access to a large number of magazines, articles, books, papers, images, sound files and educational videos. The Auditorium serves as a space for encouraging creativity and fostering communication. 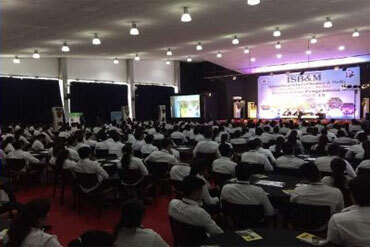 The talks by guest speakers, inter-college competitions, and important functions including the annual College day, Independence Day and Teachers Day are held here . The auditorium can seat about 500 people and has a very advanced light and sound system. The sophisticated multi- media lab boasts of professional production, graphics & multilingual software(including 2D & 3D Animation, Movie, Magic & Story Board). The Lab is equipped with Apple and Window systems having softwares like Adobe Suite (Photoshop, Flash, Indesign, Illustrator, Lightroom, Dreamweaver, Story Plus, Fireworks, QuarkXPress , Corel Draw etc. 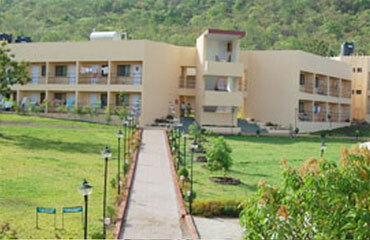 Inside campus hostel offers residential accommodation in the best possible living environment. Spacious rooms are allotted on triple sharing basis – furnished with beds, Study table, chairs and Wardrobes. Hostel life creates affinity among students, they learn to live with students from other cultural background and thus discovering common interests and creating amicable culture in the institute. 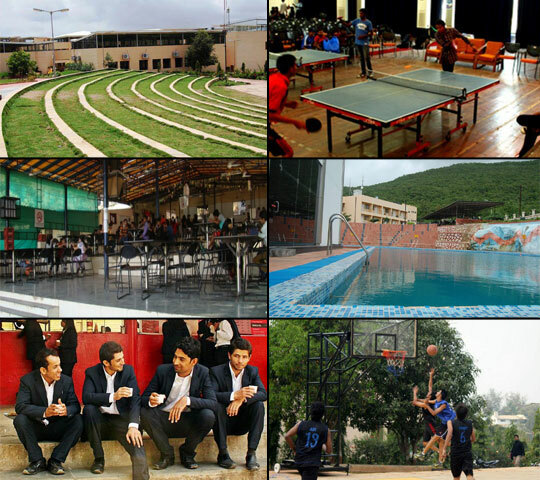 Other facilities includes Cafeteria , Swimming pool , amphitheater, volleyball court and basketball court.